In 2014 the FOX network revived the 1980s PBS documentary series hosted by Carl Sagan entitled “Cosmos”. This time around the host is renowned astrophysicist Neil deGrasse Tyson. 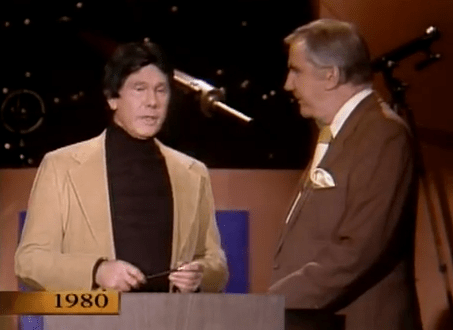 When I was growing up, like most Americans I watched Johnny Carson a lot. Because I did, I know that he was a big fan of Carl Sagan. Once he gave a copy of Carl Sagan’s book “Cosmos” to a child guest. He made jokes about how Sagan pronounced the word “billions”. He also interviewed Sagan a couple of times. During one of the interviews, Sagan stated his reasoning in rejecting the authority of the Bible. He said that the Bible teaches that the universe is only 6,000 years old, and science has proven that it’s closer to 14 billion years old. While Sagan might have been a great astronomer, he was a lousy theologian. The Bible doesn’t describe God as an oversized white male. God is a spirit. (John 4:24) He is not confined to a body, to a location, or by time. As for the set of physical laws that govern the universe, former MIT physicist Gerald Schroeder says that these laws pretty much describe the god of the Bible. Nowhere in the Bible does it say that the universe is 6,000 years old. It says “In the beginning, God created the heavens and the earth.” When you read “the heavens and the earth” in the Bible, that’s a reference to the universe. (The word “universe” isn’t found in most translations of the Bible.) Certain Bible scholars have traced the genealogies of people in the Bible and concluded that Adam and Eve were created about 6,000 years ago, but there are many different viewpoints on the age of the earth and the universe within the Christian community. Astrophysicist and creationist Hugh Ross is what we refer to as an Old Earth creationist, placing the age of the universe at the generally accepted 14 billion years and the solar system at about 4.5 billion years. On the other hand young earth creationist Kent Hovind interprets the Genesis account quite literally and believes that the universe is in fact 6,000 years old. Between these two views a wide range of opinions and interpretations of Genesis exist, and there is no consensus within the theological community as to which view is the only acceptable view. The Gap Theory for example, sees an indeterminate length of time (potentially millions of years) between Genesis 1:1 and Genesis 1:2 where the original earth fell into chaos, presumably from the rebellion of Lucifer. The Day-Age Theory states that because the Hebrew word for “day” (yôm) in the Genesis account of creation can also mean “age”, each day of creation could have taken place over an extended period of time. This would be compatible with Psalm 90:4 and I Peter 3:8, which state that with God a day is as a thousand years. The Apparent-Age theory states that since God created Adam as a mature adult, He could have created the universe with the appearance of age as well. Regardless of which theory (if any) is correct, the point is that Sagan apparently never even considered the fact that there were various interpretations concerning the Genesis account of creation, and ascribed to the Bible something that it doesn’t say. This wasn’t his only mistake. Sagan stated that there were two things required to sustain life as we know it – a star like our sun, and a planet like ours the right distance from the star. He theorized that since there were multiplied billions of planets meeting that criteria, there clearly must be intelligent life out there for us to contact. Along with SETI (Search for Extraterrestrial Intelligence), an organization seeking to make contact with other lifeforms in the universe, he set out to prove the validity of his theory. Sagan even wrote a novel based on his views entitled “Contact”, which was made into a movie starring Jodie Foster. However, after decades of searching, their efforts produced absolutely zero results, or as our Latino friends say “nada grande”. It turns out Sagan’s “two things” was just a tad low. Today we know of over 100 things that are necessary to sustain life as we see it on Earth. As the number of the criteria increases, the number of planets meeting the criteria obviously dwindles exponentially. Sagan also attributed “near-death” experiences to nothing more than memories of the trauma of childbirth, passing through the birth canal. He took these views from the research of Stanislav Grof, who conducted experiments with LSD and Shamanism, and their relation to psychology in what he called “transpersonal psychology”, and what his critics called pseudoscience. Maybe the fact that Sagan was an avid pot-smoker made him less skeptical of Grof’s work than others. When Saddam Hussein set the Kuwaiti oil wells on fire Sagan said that it would lead to a nuclear winter. While the fires did devestate the environment within Kuwait, it had no effect on the weather. Carl Sagan was a pop culture icon, and by most accounts his views on astronomy were respected within that field. But as you can see his views on matters outside of that field were often wrong. Even within the field he was wrong at times. The media is saturated with these pop culture icons who are frequently wrong about things they’re “experts” about, from Jim Cramer to Dr. Phil to Suze Orman to Dr. Oz. It’s a mistake to assume that because someone’s famous they must be right. Bear that in mind as you hear Tyson pontificate on all things cosmological. Indeed SETI has not yet found any evidence of other civilizations, but you imply this should be taken as support that there aren’t any. Firstly SETI is unbelievably difficult. Consider that the transmitting culture is of course also on a planet and its spinning, and orbiting its star and its star is orbiting in the galaxy, just like all the same for us on the receiving end. That alone provides huge challenges. Secondly the power of the signal decreases as the square of the distance. Suppose another civilization was a mere 1,000 light years away (our galaxy is around 100,000 light years in diameter so that’s very close by). Lets take a standard high power transmission like 100,000 watts (as high as the FCC will allow). That is designed to reach stations on the same planet of course, lets say within 100 miles. To simplify lets say that at 1 mile away you get the full 100,000 watts (it would be less of course but lets make this simple). So at 100 miles away you would get 100*100 or 10,000 times less or 10 watts down from 100,000 watts at 1 mile. But 1,000 light years is 5,800 Trillion miles, so 100,000 / (5,800T * 5,800T) is about 3e-27 or 0.000000000000000000000000003 of a watt), yea that’l be easy to detect won’t it! Suppose civilizations just don’t last very long. If they each last a few thousand years (and at the rate we are going its not clear ours will) and they are spread around the galaxy it turns out to be a very very rate event that two of them are close enough in time and space to ever notice each other despite them constantly winking in and out all the time all over. Its hard to wrap your head around just how huge the galaxy is. Should we take the word of any one scientist as the truth? Absolutely not! Its the consensus view that matters not any one person’s view no matter how smart they are. there can be multiple consensus views (i.e. where different views are supported by a large proportion scientists and we don’t know which is correct). Of course a good scientists offers that (or those) consensus view(s) not their own opinion when speaking in public, but not always. But this warning is even MORE important when reading stuff on some random website, like this one :-). So my comments here can be easily verified by anyone reading. Can yours? I don’t think so. What are these claimed over 100 factors needed for life? We have found life in every nook and cranny of our planet, even in environments so hostile we thought it would be impossible. We have found evidence of life from only about 1 billion years after the planet formed which means it happened fast, which may mean it isn’t in fact particularly difficult. How common is life in our galaxy, let alone the universe and how often does life evolve to intelligent beings that build technology that we could detect? We don’t know. That does not imply its NOT likely as you seem to be saying. At this point there is at least some support that its quite likely just because we have found so many planets (the current view is that very nearly EVERY star has at least one), but there are so many unknowns that its best to just say we don’t know, at least yet. People often do not like living with unknowns, especially to big questions like this (which in my personal view is one of the key factors leading to religion), but such is life!